Welcome to FACTIVATION.COM! Our highly effective, affordable, complete Math fact fluency solution ensures fact mastery through a well-rounded approach that includes concept, memorization strategies, vocabulary, operational reciprocity, AND application! Loved by students, relied upon by teachers. While Factivation!® includes a variety of resources (video, printable, and interactive) for every aspect of Math fact instruction, its instructional videos are truly the heart of the program. 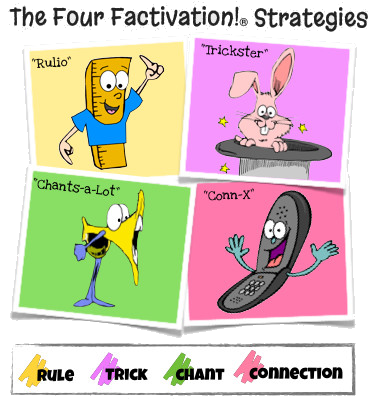 Factuary Al™ and his entourage of colorful characters introduce students to all Math facts using simple, memory-enhancing strategies. The Four Strategies™ provide meaningful, intriguing “hooks” that act as a powerful springboard to fact fluency. Our Logical Lesson Progression Maximizes Learning! This simple-to-follow lesson progression scaffolds Math fact instruction, leading students from conceptual understanding to automaticity to application of newly acquired facts! ✓ Concept Resources: Concept Builders, Fact Building Mats, Projectables, etc. ✓ Accuracy Resources: Full Videos, Quick Flicks, Practice Pages, Flipbooks, Posters, etc. ✓ Fluency Resources: Fast Facts Videos, Fluency Builders, Games, One-Min. Assessments, etc. ✓ Application Resources: Reciprocal Videos, Logical Links printables, Problem Solvers, etc. Want to explore our programs, lessons, and all available resources for successfully TEACHING MATH FACTS? If you’re needing to ensure Math fact mastery, we’re confident you’ll find what you’re looking for using the links below! Happy exploring! 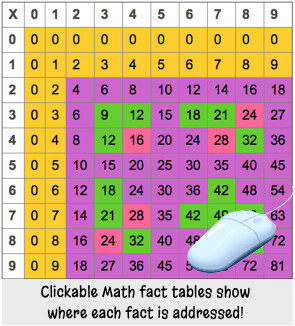 ✓ Clickable Math Fact Tables– See WHICH lessons cover WHICH facts! ✓ Lesson Control for Addition/Subtraction– Learn more & get free resources. ✓ Lesson Control for Multiplication/Division– Learn more & get free resources. ✓ Libraries: Videos | Printables– See all videos & printables in two large resource libraries! Lasting results with a schoolwide impact on Math achievement scores! Factivation!® is a compilation of the best tricks of the trade when it comes to Math facts. Familiar methods for Multiplication, like the Nines finger strategy, have been combined with new (and surprising!) tricks and chants to create a complete system that teaches every fact in the simplest, most brain-friendly way. Factivation!® is recommended for 1st-5th grades, as it covers basic Addition, Subtraction, Multiplication, and Division facts: the foundation upon which all upper-level Mathematics instruction is built. 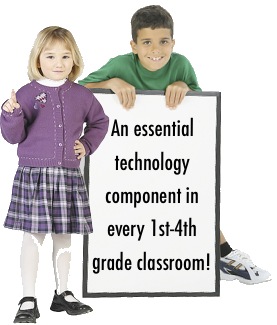 Factivation!® is being successfully used in special ed classrooms, regular ed classrooms, gifted classrooms, and in homes across the USA and abroad. Read our testimonials to see how your colleagues feel about its effectiveness. We regularly receive unsolicited testimonials from excited teachers and parents! There are 9 Multiplication/Division lessons. Most contain only three Focus Facts for the student to master before proceeding to the next lesson. There are 12 Addition/Subtraction lessons. Previously learned facts are reviewed within each lesson and the commutative property is reinforced throughout, allowing fewer facts to be explicitly taught. A basic Factivation!® teacher membership is $34.95/year and single home memberships are $19.95/year. It doesn’t have to cost a fortune to be effective! Visit our sample lessons and you’ll see what a great value this is! Factivation!® was designed by a teacher to be a COMPLETE fact mastery solution fully addressing fluency, while also covering every other aspect of true mastery. 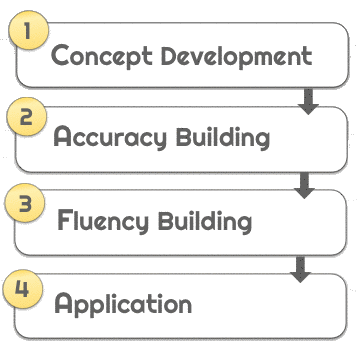 Using our simple-to-follow four-part lesson progression, students first build a foundational understanding of the concept of the operation, then move into accuracy-building, fluency-building, and finally application of basic facts. Click to Watch! Visit our Math Fact Video Library for more! Factivation!® is THE chosen fact fluency solution by teachers across the United States, as well as several countries abroad, including colleagues in Australia, Canada, and even Bermuda! I cannot tell you how satisfied I am with the program! Your program has reached ALL of the 27 learners in my classroom this year. We will factivate it every year from here on!